It may be hot now, but cooler temperatures and cooler car prices are just around the corner, according to Automobile Club of Southern California’s Car Buying Service Manager Dave Cavano. Since 2019 models have arrived on dealer lots, dealers are motivated to offer deeper discounts on last year’s models, making fall and the end of the year timely opportunities to purchase a vehicle, he said. California new car and truck sales are about 2 million annually and the most popular new cars sold, Honda and Toyota, often translate into the most popular used cars as well. For new cars, there also may be additional California and federal credits, rebates and carpool privileges by purchasing certain electric and alternative fuel vehicles by a certain date. To learn about these incentives, click on https://www.driveclean.ca.gov/pev/Costs/Vehicles.php and https://www.dmv.ca.gov/portal/dmv/detail/vr/decal and also https://cleanvehiclerebate.org/eng, for more information, according to Cavano. Like any important buying decision, doing research and having a plan can save money and ensure buying the safest car possible within any individual or family’s budget, according to Cavano. New car prices still a little too high to fit your budget? The Auto Club wants to help. The Car Buying Service will host an online Fall Used Car Event from now until Oct. 31 with additional savings off the posted Internet price available to members interested in purchasing a quality used car from a recommended Auto Club dealership in Southern California. Auto Club members also receive a minimum five day/500-mile right of return at no additional cost. Plus most of these used cars posted on the Auto Club special online event web site www.AAA.com/vehicles offer a free CarFax repot that members can view prior to purchase. Get pre-approved financing. 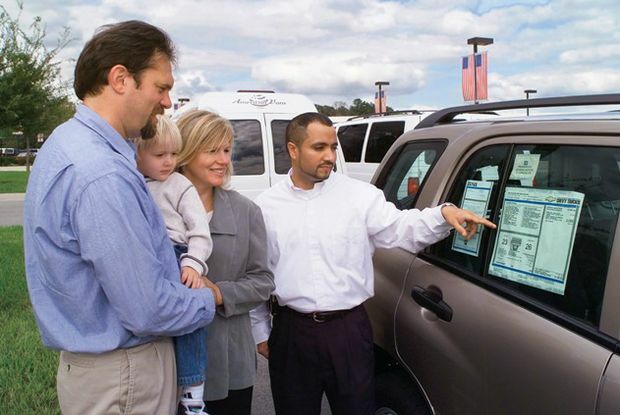 Get pre-approved before going to a car dealer. “If the dealer can offer better financing, that's great. If not, you know you have a competitive interest rate because you’ve already shopped the loan,” said Cavano. Get referrals from trusted sources. Ask family members, friends, or trust-worthy organizations such as AAA about reliable makes and reputable new car dealers. Invest in a vehicle equipped with safety features. Ensure the vehicle is equipped with driver and front-passenger airbags and height-adjustable shoulder belts in the front and back seats and adaptable cruise control. Also ensure the car features adjustable and lockable head restraints. Anti-lock brakes and traction control also are desirable features. Know your numbers. Don’t guess. Most consumers rely on the Internet for fast, reliable and convenient vehicle research information, but newspaper automotive ads are still a good place to check for vehicles, too. Test-drive before you buy. Make sure you test-drive the car you want to buy in the manner you plan to use it. Drive up hills, on highways, and in stop-and-go traffic, to mimic your commute and other driving patterns. Look over the vehicle inside and out.